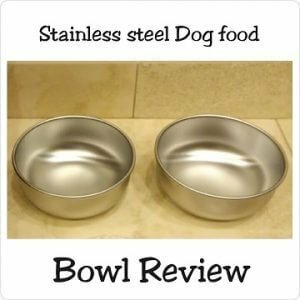 My last blog about the health benefits of lead-free pet food bowls was almost complete except for a few questions I was hoping to get answers to. I reached out to the owner to let him know I was writing a blog post about his bowls and he was kind enough to schedule a call with me to answers those questions. 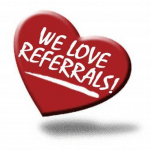 Anyone can claim certain benefits, like lead-free, but he backs it up by sharing the third party laboratory test results. The cherry on top was he offered to send me some dog bowls to “test” out. How awesome is that?! The box was smaller than I expected but that was because these bowls outer edges didn’t flare out like our former bowls, pictured in my lead free blog. Each item was individually wrapped for protection and I liked the sticker that was used to “tape off” the bubble wrap. When I set my new bowls next to my old bowls, I thought “Wow, these are pretty!” It may sound weird since they are bowls but look at them. Gorgeous right? These stainless steel bowls are Made in the USA and proudly stamped as such on the bottom of the bowls. Inside the box was Use & Care instructions to help you take care of your new bowls. Also, a note was enclosed thanking me for my purchases and stated his satisfaction guarantee. I felt like the note being hand signed by the owner was a nice touch! Safe cat bowls, puppy bowls, and dog bowls…Oh my! These pet bowls are offered for both cats and dogs. The dog bowls come in four sizes: small, medium, large and extra large or a mixture of sizes such as 1 medium and 1 large bowl. Bowl sizes: All of the following measurements are without filling them completely to the top rim. Small bowls: 1.5 cups, Medium bowls: 3 cups, Large dog bowls: 6 cups, Extra Large bowls: 12 cups. I tested the measurements myself my pouring some water into my measuring cup and then into the bowl. Sure enough, it held 3 cups with a little of room left to spare. Keep reading to see our blooper video below. They even suggest certain bowls sizes depending on the breed of your dog. For my dog, the large was suggested. I decided to go with the medium since I never give him more than 3 cups of food and I want to refill his water throughout the day to make sure it is always clean. It should be a one-time investment vs buying cheaper bowls that rust within a year. YES, I have seen that happen. I took a picture of 1-year-old bowls, one was rusted and the other had NO rust, see the proof on my Instagram. Price: A set (2) of these bowls starts at $34.99. One of the reasons that I initiated my dog bowl search was I wanted them to be free of heavy metals such as lead, mercury and be radioactive materials. The other reason was due to the tea stain I could not seem to get rid of no matter what I tried. I am happy to report the tea that sat overnight when I forgot to empty & rinse them out, did not stain our new bowls! I have had these bowls for several months and have not seen any signs of rust or mold. Stainless steel is rust resistant but not rust proof. To prevent rust, you can hand wash them with a dish soap, ideally without harsh chemicals, and dry them off daily. I read they are dishwasher safe too. Cleaning: After every meal, the bowls get rinsed out and dried off. Additionally once a week I use my steam mop attachment to sanitize & disinfect them. Why? The water in most households is not hot enough to kill bacteria. For more information on killing “germs” with steam, please read our steam mop blog. Scratching: I didn’t use metal utensils in the bowls but did use a nylon spoon when I needed to mix up his grain free dog food, his heavy metal detox supplement and this supplement for overall health and immunity. I have noticed light swirl marks in his food bowl, I wish they weren’t there but the bowls still look good and clean up is a breeze! Update: Attempt #2 I tried the baking soda paste again and that worked great! I guess it was too much liquid the first time. Rotating bowls: A tip that the company shared was if you primarily use one for food and the other for water, it is a good idea to rotate them on occasion. I am SO glad he brought this up as I more than likely would have kept them as strictly as a food bowl and the other as a water bowl. It seems there is still much debate whether raised feeders are beneficial to your pet or not. I choose not to go with this option but I did find out if you contact the company with your measurements, the owner will be able to tell you if his bowls will fit your current feeder. Bowl sliding: These bowls do not have a rubber ring on the bottom of the bowls to prevent them from sliding around. One reviewer pointed out that this could be a good thing as the rubber could become a hazard if your puppy, dog or cat likes to chew on things. Chewing was not a factor for me but I did want to prevent the bowls from sliding around. I decided to go with the non-skid bowl holder. My results are the bowls stayed in place if the floor was dry. If the floor was wet, because sometimes my dog can be a sloppy drinker, his bowls did move around a bit. There was a one-time event in which he jumped the bowl out of the bowl holder. I believe it was the first day he got to eat his Grain Free Dog Food. I guess that really says he loved his new food! Update: they now have a non-skid mat to place the bowls on. Overall I am really happy with these bowls and I hope you will be too! Bonus: We seem to be good at creating bloopers. I’m beginning to think this is “our thing.” Lol. Watch as I fumble over my words and my dog walks in the scene mid-shoot to try out his new bowls.